Atrocities by Muslims against Christian's are being ignored by the free world. 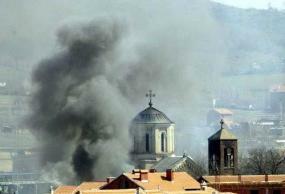 Just another burned-out church in Kosovo. "As the war against jihadi terrorism rages in Iraq and Afghanistan, militant Islam goes unchallenged in a U.S. battlefield of the 1990s. The immediate victims of the jihad in Kosovo are the minority of 210,000 Christians who found themselves on the short end of the stick after the U.S. and NATO forces interceded on behalf of the Muslim, Albanian Kosovo Liberation Army, organized in part by Osama bin Laden's al-Qaida terrorist network." "The fate of Kosovo in the southern part of Serbia, surrounded by Albania to the west, Macedonia to the southeast, and Montenegro at the west, remains unsolved. Politically suspended in mid-air Kosovo has become subject to Islamic tyranny gnawing at the Christian population's historic civil and religious rights." "The unsettled issue of independence for Kosovo continues to be what the Central Intelligence Agency diplomatically describes as an 'international dispute.' "
Reportedly, the "Kosovar Albanians overwhelmingly support Kosovo's independence, while Serbia opposes it. Thus the province's problems continue to brew, as one Kosovar Orthodox priest described: 'Add to the problem the destruction of the civil war, the refugee issue and the growing force of Islam, you can only expect the pressure cooker to burst." "A major danger to security, and therefore a problem for all those involved with the U.S.-led war on terrorism, derives from Islamic militants moving with full force into the vulnerable province. The international community, represented by UNMIK and the Serbian and Montenegro armed forces, is a mere scarecrow defense lacking any significant power to control the Islamic onslaught. Only when it comes to the sheer physical protection of Kosovo's Christians, especially those who live in the Prizren Bulge stuck between Albania and Macedonia, does the international force take any action. As a result tens of thousands of Kosovar Christians fled their homes, the remainder live in fear of attacks and pogroms, such as the events of March 2004 when churches and ancient cathedrals were burnt to the ground and desecrated." "The Muslim Albanians who destroyed churches are now building mosques on the ruins. They have attacked churches, burned buildings and torn down crosses while French and German U.N. troops stood by because their mission is to protect lives not property. On the other hand, U.S. and Italian members of the U.N. Interim Mission in Kosovo risked their lives in an effort to save historic Christian monuments dating back to the Byzantine era from being razed." "The strong Islamization move in Kosovo is now attracting also the attention of intelligence and counter-terror experts. During an Aug. 12 congressional staff briefing, a video of Muslim ferocity was shown and details of the situation were described by a number of former State Department officials. A day earlier, U.S diplomat Thomas Patrick Melady called for a significant increase in international pressure in Kosovo. 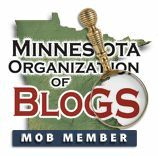 Melady, a seasoned ambassador, was obviously deeply upset by the information he himself provided, especially over the desecration of churches. Frederick Peterson, an analyst on counter-terrorism with the Institute for Security Studies at the University of Nevada, and Joseph Griebosky, president of the Institute on Religion and Public Policy, referred to Kosovo's numerous new mosques funded by Saudi and Iranian funds. Currently these mosques are mostly empty, but their mere existence reflects plans to indoctrinate residents with the radical Wahabi form of Islam and a plan to gradually convert more and more Christians. The new mosques carry plaques acknowledging funding from Saudi Arabia, Iran and the United Arab Emirates. The situation in Kosovo is of great importance to those at the forefront of counter-terrorism. The province has become a magnet for jihadists, who regard the Balkans as an important bridge on their way to west Europe's heart. Intelligence analysts believe the cities of Pristina and Prizren are part of a terror and narco-terror smuggling pipeline going across Serbia, through the city of Uzice all the way to the Croatian border. From there the way to Western Europe is short and relatively easy. Jihadists have become quite familiar with the area due to their involvement in the civil war, which brought an end to Yugoslavia as an integrated entity. They lean heavily on the support of Islamic radicals, even Albanian Muslim rank and file, in an elaborate plan to turn Kosovo into a jihadi base. The fact that most of the funds for the so-called Islamic revival of Kosovo come from Wahabi Saudi Arabia and from the Iranian Shia ayatollahs should be a wakeup call for the west, perhaps even more so to the U.S., which during the Clinton administration was the motivating force in bringing down Yugoslavia. The U.S., more than any other country, stood up for the protection of the Muslim minority in Yugoslavia even though the KLA was organized by bin Laden. Many analysts who expect the Kosovo power keg to explode anytime now share this view. In their eyes opinions expressed on Capitol Hill should be amplified across the free world in time to confront a cultural and religious war gaining momentum in Western Europe's backyard.